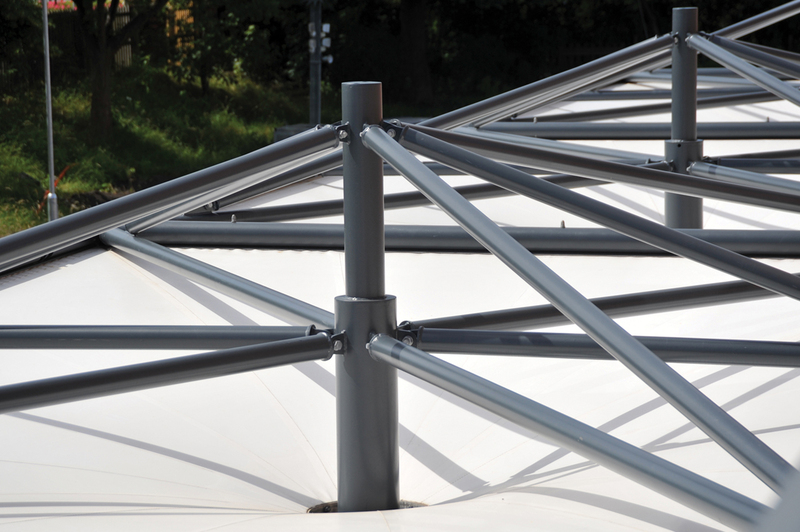 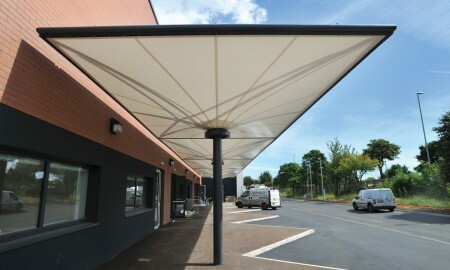 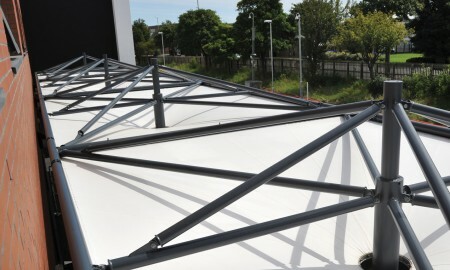 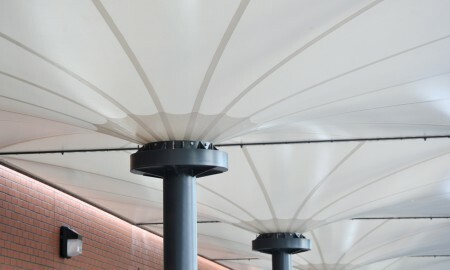 This bespoke canopy arrangement spans 38metres in length and 4.6 metres in width whilst standing 3.7 metres high. 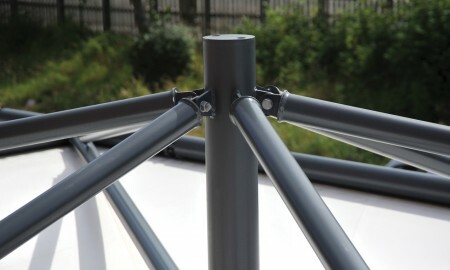 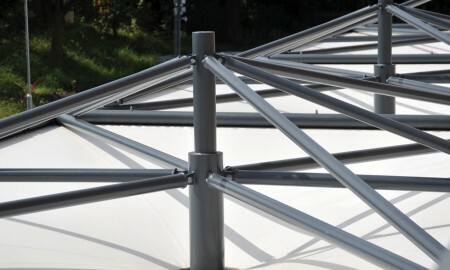 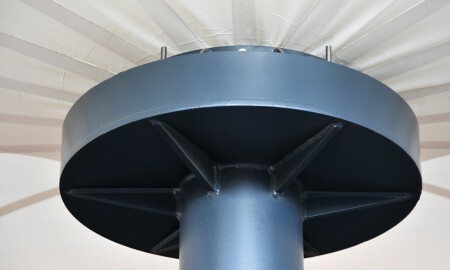 The main structure is constructed of mild steel structural hollow section that is galvanized to BS EN ISO 1461 and polyester powder coated to RAL 7016 dark grey. 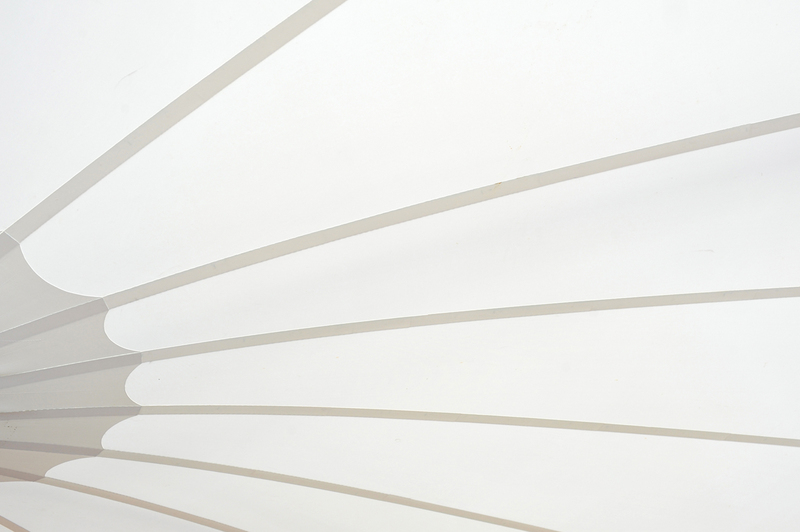 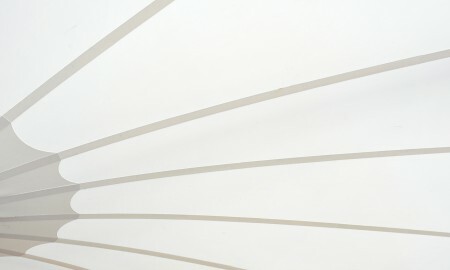 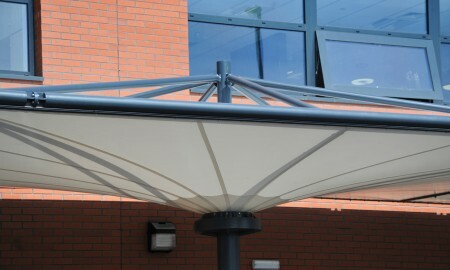 The membrane element is Polyvinylchloride (PVC) coated polyester strand (PES) with protective laquer type II. 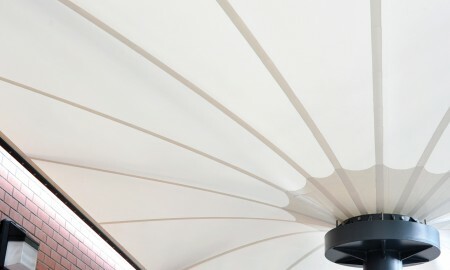 Mehler Valmex FR900 Mehatop F; fire rated to BS 7837 and coloured Din 4102:B1 White. 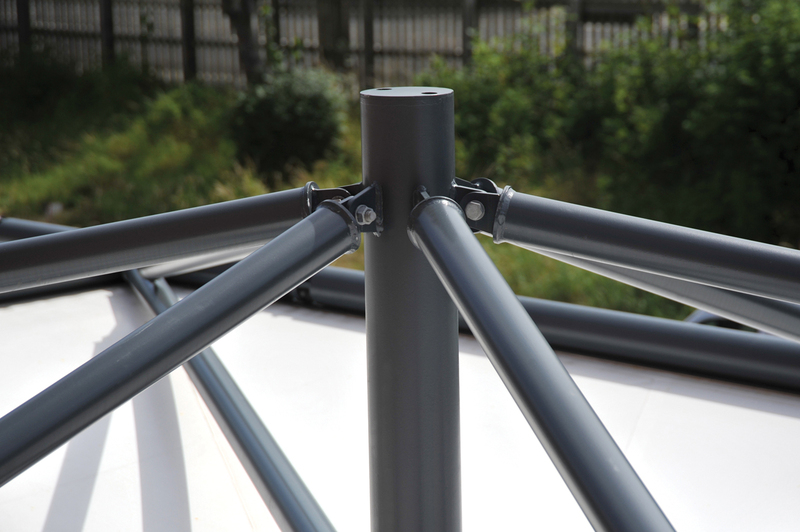 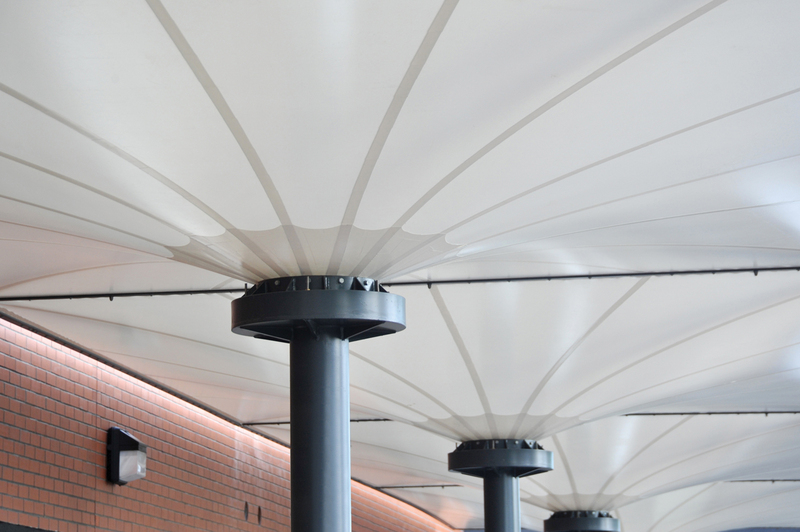 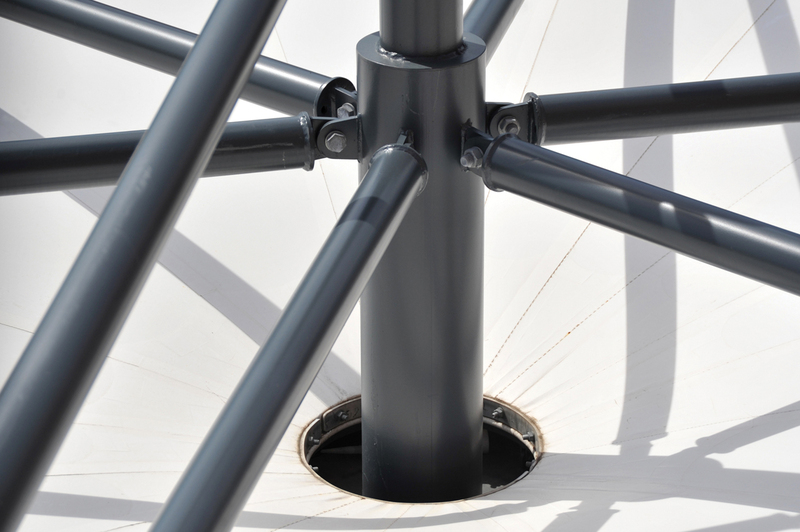 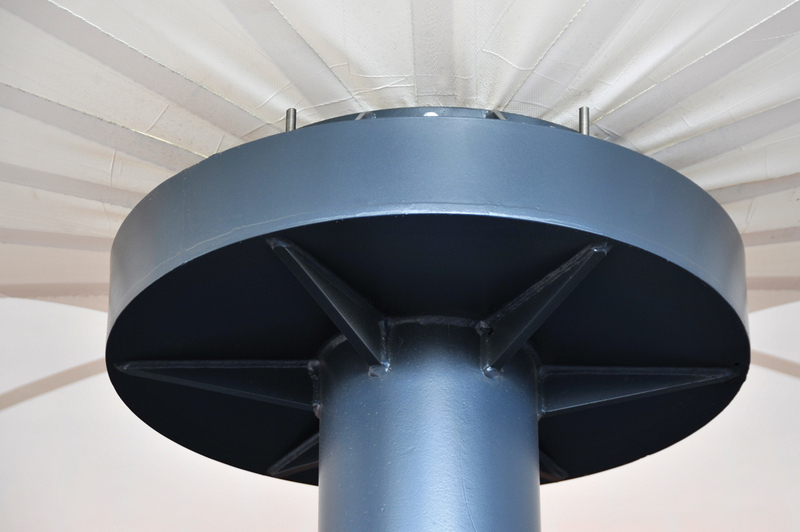 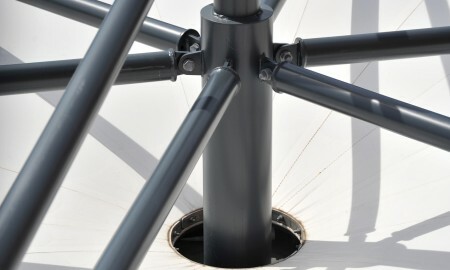 Rainwater is managed internally through supporting column legs and despatched at the base of the column to existing services. 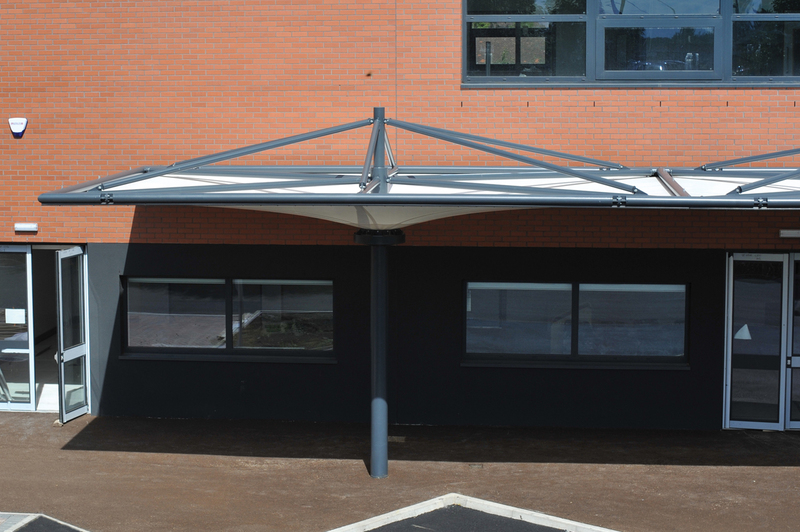 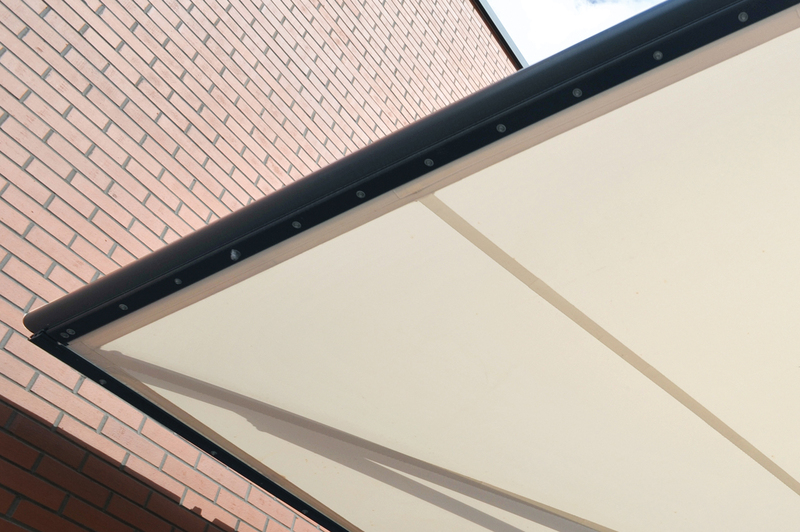 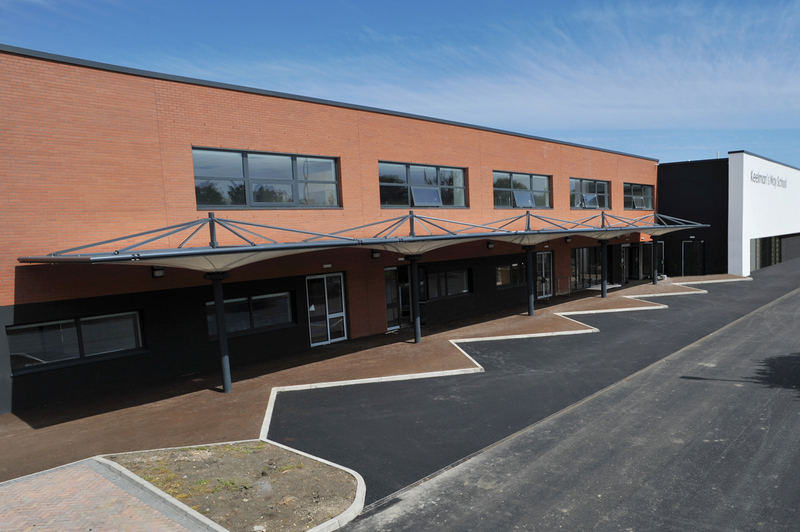 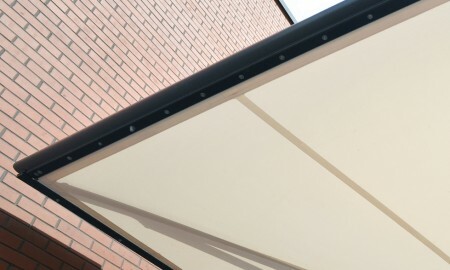 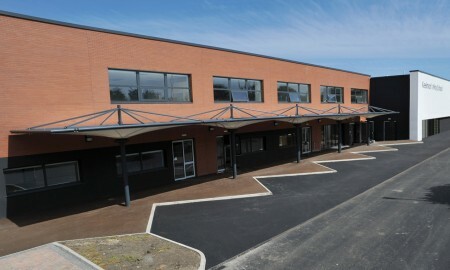 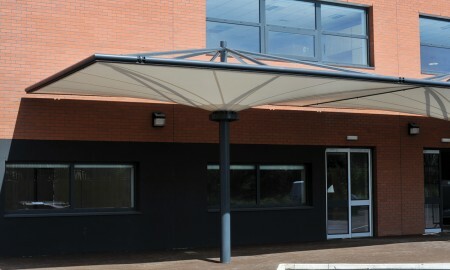 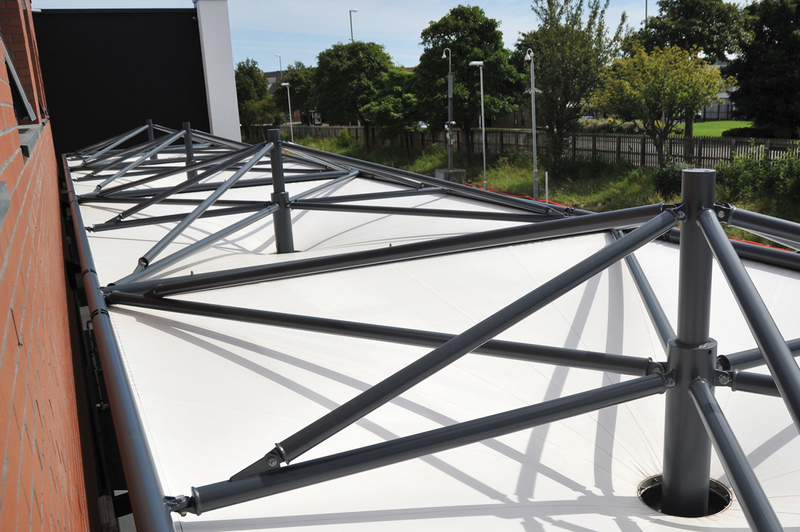 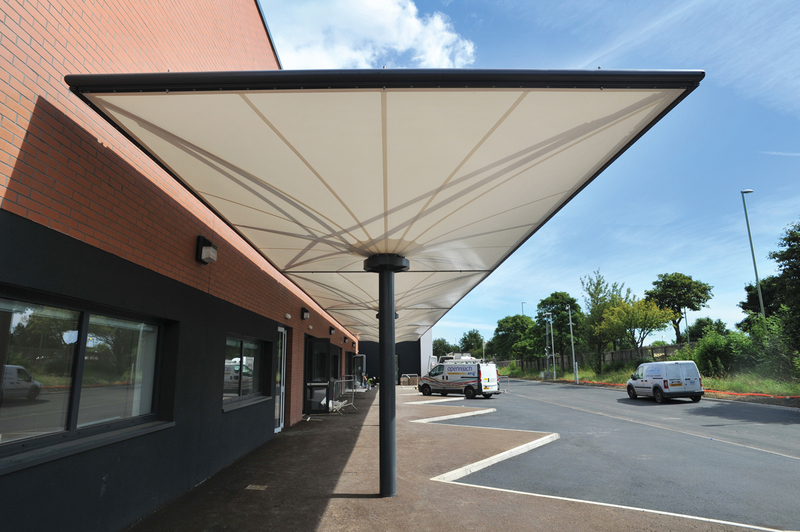 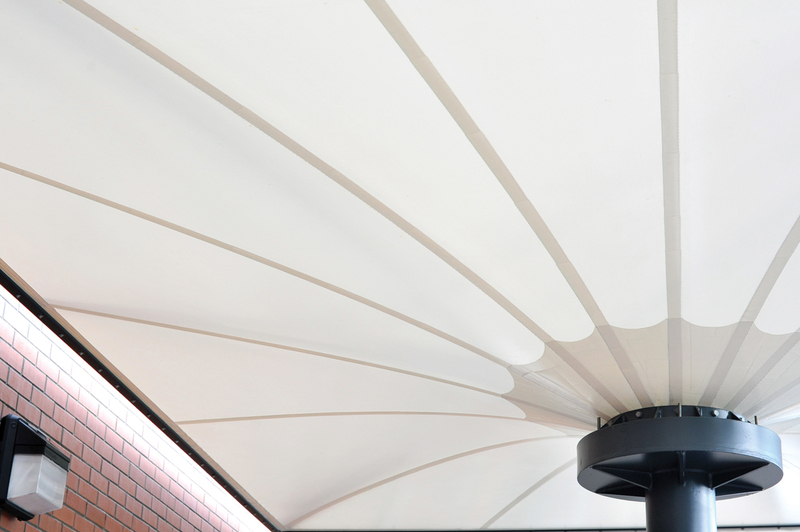 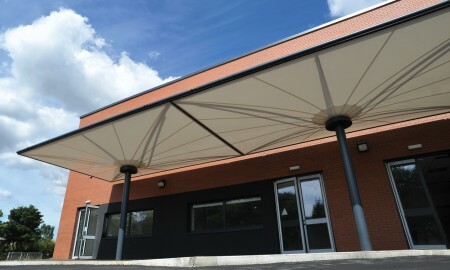 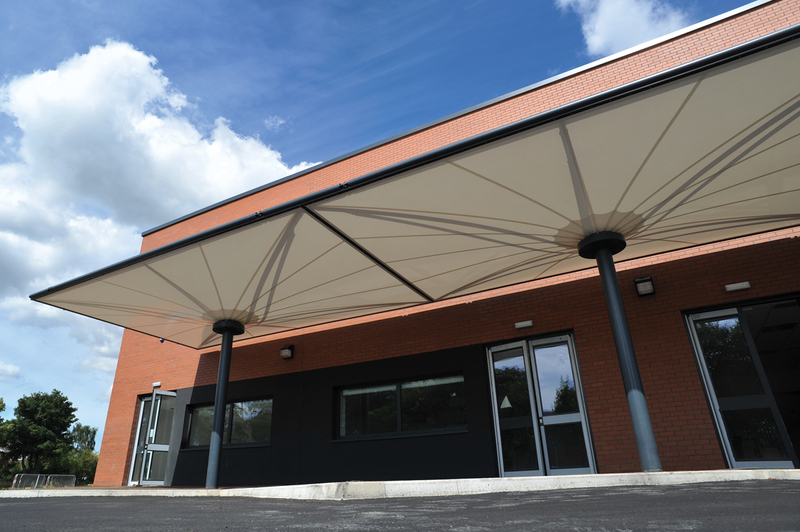 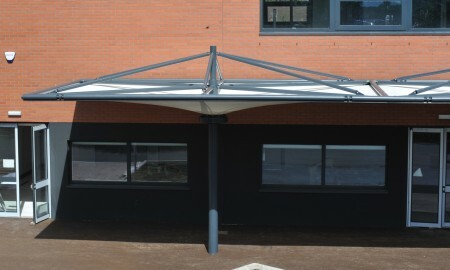 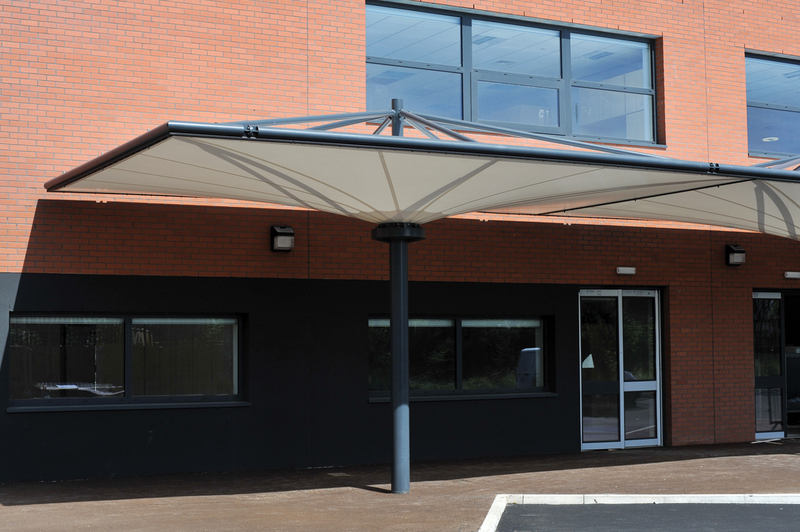 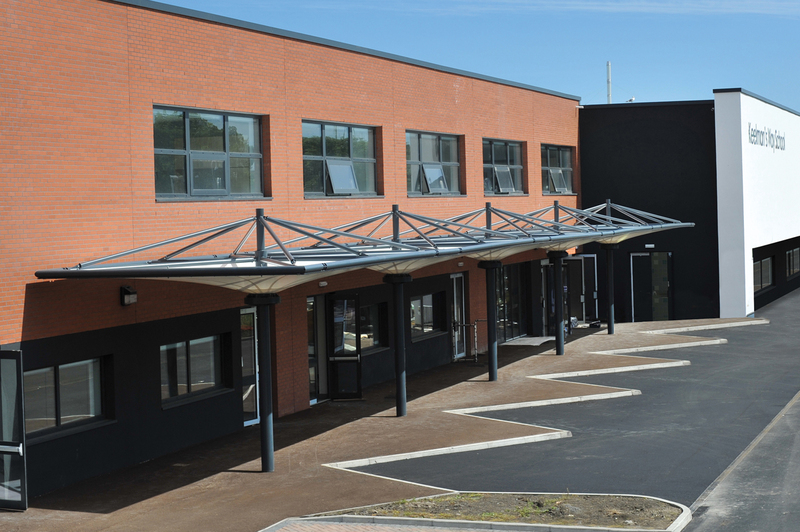 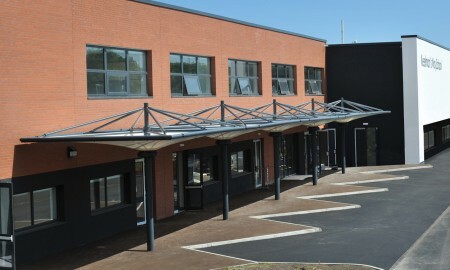 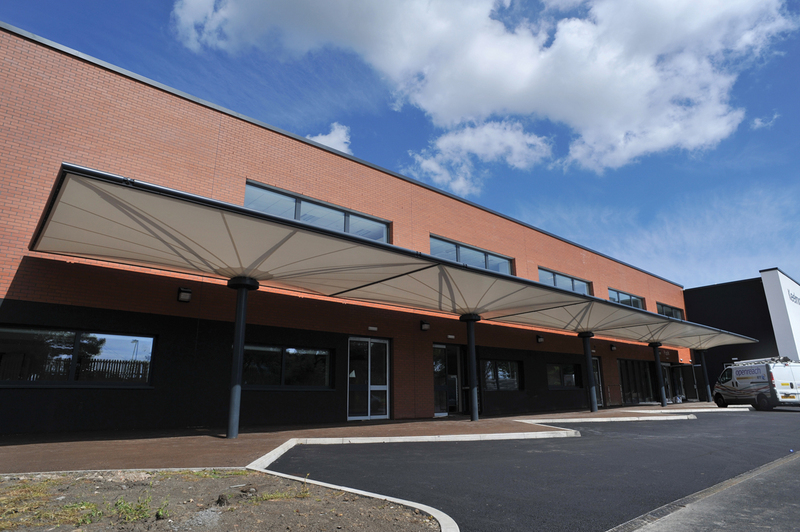 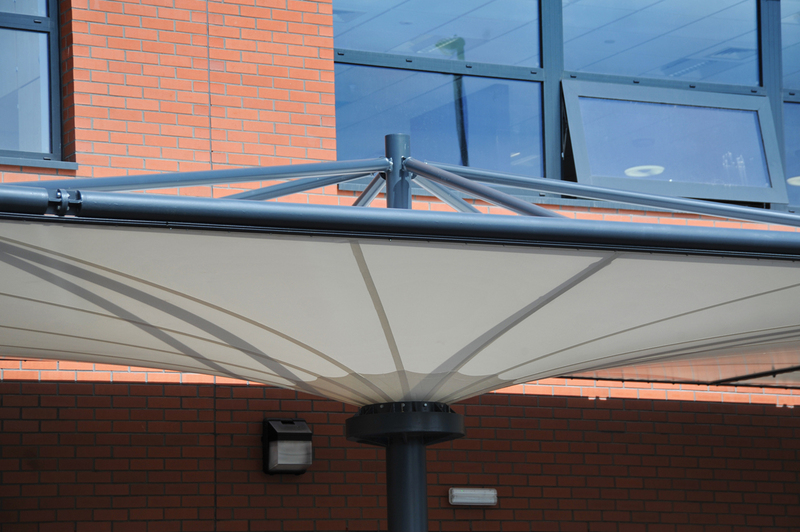 The canopy provides all round weather protection to the school frontage offering waterproof shelter in even the extremist of rain and a high protection from UV rays and the offer of shade in summer.